Son of ... Bailey, and ... Ellis. Youngest son (with three brothers and six sisters) of Clifford Barclay, and Rosamund Veal, of Park House, East Horsley, Surrey. Education: St Bee's School, Cumbria. Brother of Capt. William James Osborne Bartlett, MC and Bar, Royal Tank Regiment. Education: Imperial Service College, Windsor (09.1937-07.1940; "C", or, Lawrence House). Son of Samuel John Bassett (1863-1942). and Eleanor Woodroffe (1864-1937). Married 1st (09.04.1919, St John's Church, Upper Holloway, Islington district, London) Dora Mildred Amy Fiudge (1894? - (12.)1920). Married 2nd (03.08.1921) Zoya Melataevna Gadzinsky. Published: Royal Marine : the autobiography of Colonel Sam Bassett, CBE, RM (1962). Son of Ivanhoe Alban Neville Beadle (1894-1985), and Sarah Monica Rouse (1883-1969). Married (02.10.1943, Westminster district, London; marriage dissolved) Helen J.M. Thomas ((06? ).1922 - ), daughter of ... Thomas, and ... Evans. She remarried (1973) George P. Owen. Education: St Olave's Preparatory School, Ripon. Managing director, Williamstown Shipping Company, 1960. 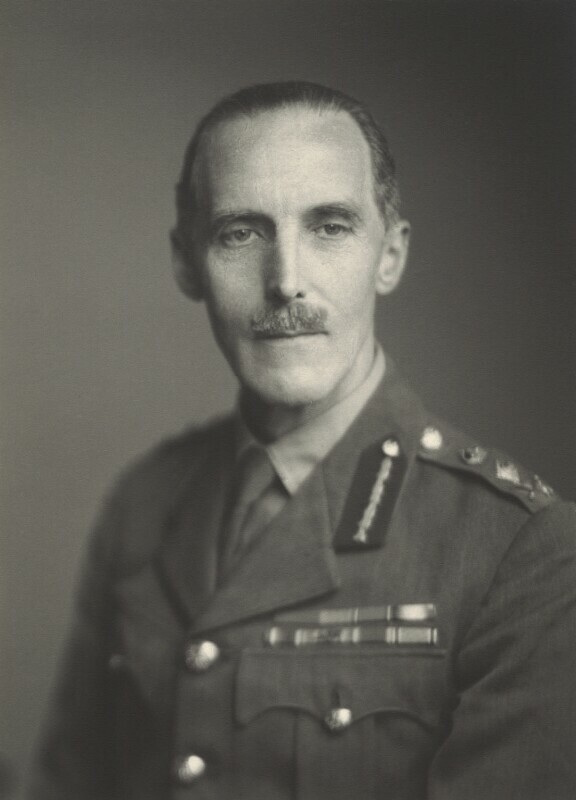 Son of Stuart Edward Beal. Son of Richard and Edith Beazley, of Wallington, Surrey. Married (26.03.1921) Lucretia McClure; ... children. Son of Robert Beeman, and Margaret Kate Madden. Only son of Edward George Craven Belbin (1879-), and Sigrid Mathilda Velander (1891-), of Hong Kong. Married 1st (05.05.1941, Fenwick, East Ayrshire, Scotland) June Bissell Crickmay Abbott (13.06.1918 - 10.2003), elder daughter of the late Mr William John Crickmay Pope (1894-1972), and Winifred May Thomas (Mrs J.S. Abbott) (1893-1972), of Craufurdland Castle, Kilmarnock; two daughters. Married 2nd ((06? ).1955, Westminster district, London; divorced 1965) Emma Paula Maria Spiller (née Kafkova Czernin) (03.02.1921 - ); one child. Education: Marlborough College (01.1934-12.1937; C2 (Fleur de Lyse) House; House Prefect; XV 1937). Son (with three sisters and two brothers) of John Thomas Bell (1878-1941), and Alice Hall (1880-1969). Husband of Muriel Hannah Bell, of Chatham; one son. Married Wendy Patricia Ware-Austin; two sons. Went home to Kenya post-war (farmer/game warden/safari leader). Only son of Mr & Mrs Alfred Bolingbroke, of The Yews, Farnham, Surrey. Married 1st (12.09.1942, Exeter district, Devon; divorced) Joan Margaret D. "Ginty" Cranmer; ... children (one son?). She remarried (1958) Harold A. Lance. Married (1911) Lilian Mary Poole Gabbett; one daughter (Eizabeth Meriel Barwys Ord (née Bourne) (27.09.1917 - 26.07.2011), who married secondly Lt.Col. (later Brig.) Norman Charles Ries, CBE, RM). Son of ... Bradley, and ... Burt. Lived in Swanage in the 1990s. Son (with one brother and one sister) of Norman Sheridan (1874-), and Winifrede Kendall (who, after her divorce, changed her surname to Brind-Sheridan). Education: preparatory school, Natal; Bedford Grammar School (rowing). Literature: Tony Sheridan [son], Mrefu : growing up tall : a memoir (2014). Son of Clarence Jesse Brockbank (1884-1970), and Caroline Brockbank. Only son of Rev. Dallas George Brooks. Governor of Victoria, Australia, 1949-02.1961 & 08.1961-03.1963 (Administrator of the Commonwealth of Australia, 02.1961-08.1961). Hon LL.D., Melbourne, 1960. KStJ, 24.06.1949. Croix de Guerre 1918. Headed Seamenship Instructor Department of the naval boarding school Royal Hospital School, Holbrook, Suffolk, early 1950s. Brother of Capt. (E) Charles Ralph Ormsby Burge, DSO, RN, and S/Lt. (E) Brian Ormsby Burge, RNVR. Employed with Emu Wools Ltd. Son (with two brothers and one sister) of George Henry Kelsey Burge (1890-1957), and Evelyn Alice Stiles (1884-1977). Married 1st ((12? ).1944, Hampstead district, London) Beatrix Hope Campbell "Bo" Robertson (09.08.1907 - 30.03.1998) [she married before (1934) Harry Oxford Paton Evans (1907-1936), and later (1970) Alfred Robert Llewellin-Taylour (1877-1972)], daughter (with one brother) of Archibald Campbell Robertson (1861-1946), and Marjorie Urqhuart (1881-1959); three sons. Son of Alfred Myer and Katharine Burnford, of New Zealand. Married (08.10.1946, Maidstone, Kent) Beryl Marjorie Roddam. Education: MRCS Eng, LRCP Lond 17.05.1951; MB, BS Lond 1952; DCH Eng 1954; DObst RCOG 1954. General practitioner, Stoklinch, Ilminster, Somerset, later Lynchetts Barley, Royston, Hertfordshire.